Vivien Keszthelyi began her career in Formula 3 this weekend, and contributed to the international recognition of Hungarian motorsport by successfully finishing all 3 races of the first event as the only female member among the competitors. The leaders of BlackArts Racing have high hopes for the development of the young driver, while the pilot says that she is in the beginning of a long learning process. Keszthelyi arrived to Thailand as a three-time touring car champion, who did not have any formula racing experience. She only had 2 days to test and to get to know to the new car before the first race of the FIA certified F3 Asian Championship Winter Series. After the two test days, the event started on Friday with the free practice, two qualifying sessions and the first race in the dense calendar, followed by two races on Saturday. 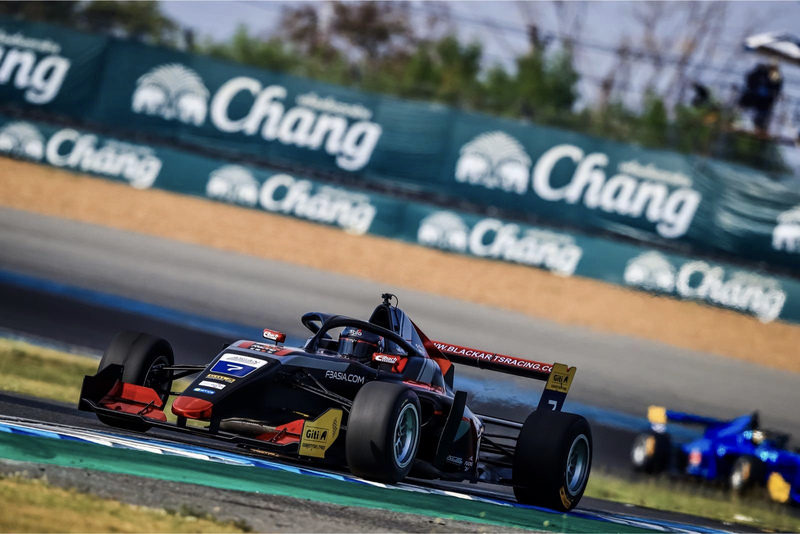 Despite the short time, Vivien finished her first Formula 3 race in the 8th, the second in the 11th, and the third in the 9th place, not only taking the first step in the formula category, but also earning her first points in the championship. “We were continuously working on the car with the team, as we were trying to find the settings that would suit me the best during the qualifying sessions and the races as well. I am extremely happy that I completed all three races, and the 6 collected points were the icing on the cake. I am still getting to know the car and the tires. There is a lot of new information that I have to learn and I need more experience with the car, as this category is completely new to me. I am in the beginning of a long process, but I am working hard to gain the necessary experiences” – said Vivien after the third race of the weekend. She has gained her first Formula 3 experience, but there is still a long way to go for Vivien Keszthelyi, if she wants to reach her biggest goal in 2019: to qualify for the European W Series. As the next step of her development process, she will compete in 3 more races of the F3 Asian Championship Winter Series next week in Sepang, Malaysia.